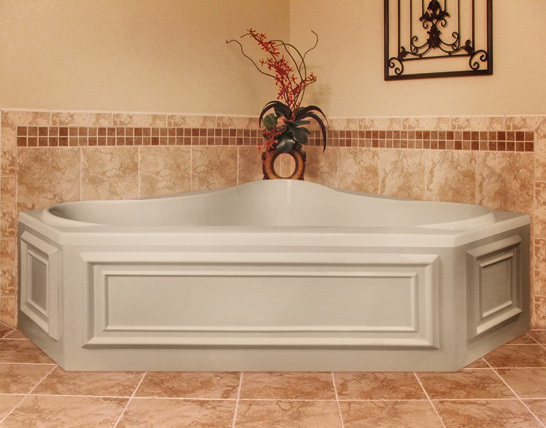 The Erica corner jetted tub is designed for those who have a spirit of adventure and elevated tastes. This whirlpool tub has deep contoured sides and molded armrests to comfortably accommodate two or more people. The Erica whirlpool is sure to add style and comfort to any bathroom. Shown with optional skirt. Call 800-720-1062 for more details.